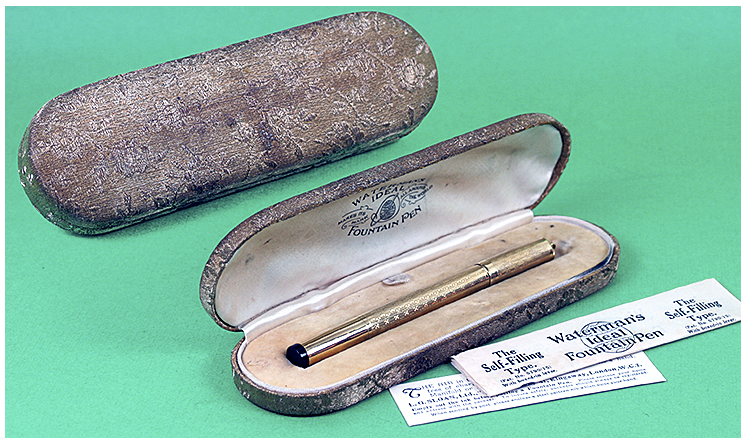 This 1917 Waterman 42 ½ Continental Safety ring-top vintage pen is an eyedropper-filler (easy to clean!) with an 18KT gold-filled Diamond pattern on a pinstriped background. It’s a gorgeous pen. There are two small dings in the barrel, with a discounted price to reflect this, but otherwise in near mint condition, with a form-fitted box and papers. Aside from the beautiful pen itself, the pen has an extra-fine, extra-flexible nib. 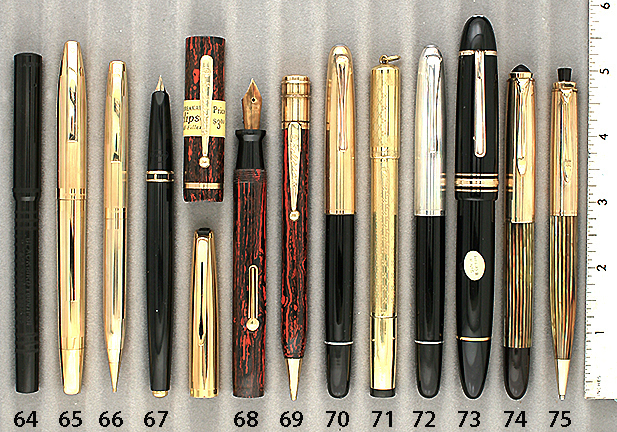 Waterman made fantastic flexible nibs, so if you are looking for a nice, fine flex nib, look no further. 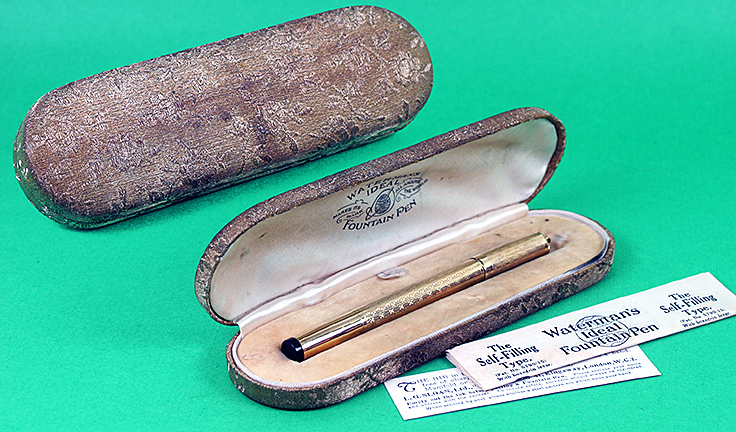 Waterman 1917 42 ½ Continental Safety ring-top eyedropper-fill in 18 KR (gold-filled) with engine-turned “Diamond” pattern on a pinstriped background. Extra-fine, extra-flexible nib. Two small dings in the barrel (reflected in the price) otherwise near mint in form-fitted box with papers. Close-up photo in box. 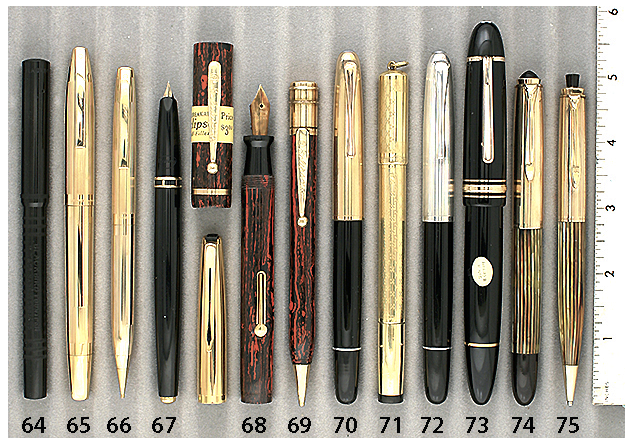 This entry was posted in Vintage Pens and tagged Catalogs, Waterman. Bookmark the permalink. Follow any comments here with the RSS feed for this post. Post a comment or leave a trackback: Trackback URL.